Welcome back! Fall semester kicks off next week but campus is already active with returning students. I hope you were able to enjoy the summer and had an opportunity to spend some time away from campus to refresh and recharge. Although it is only August, now is the time to begin to add important events, dates and deadlines to your calendar. As always, the CLASS calendar of events is a great resource to find dates for concerts, theatre productions, the 70th annual Borah Symposium, and book readings. I also hope you will consider attending a football game to support the over 30 football student-athletes who are majoring in CLASS, and, of course, to listen to the amazing Vandal Marching Band, under the direction of Spencer Martin. I encourage you to join me on Thursday, August 17 at 4 p.m. in the Kibbie Dome as we welcome our incoming class and their families. David Vobora, 2008 CLASS graduate from psychology and communication studies, will deliver a keynote convocation address that you won’t want to miss. Finally, I hope to see you and your families at the annual fall CLASS welcome back gathering. It will be held on Wednesday, August 30, 4:30 – 6:30 p.m. at the 1912 Center and will be a great way to get to know all 160 of our CLASS faculty and staff. 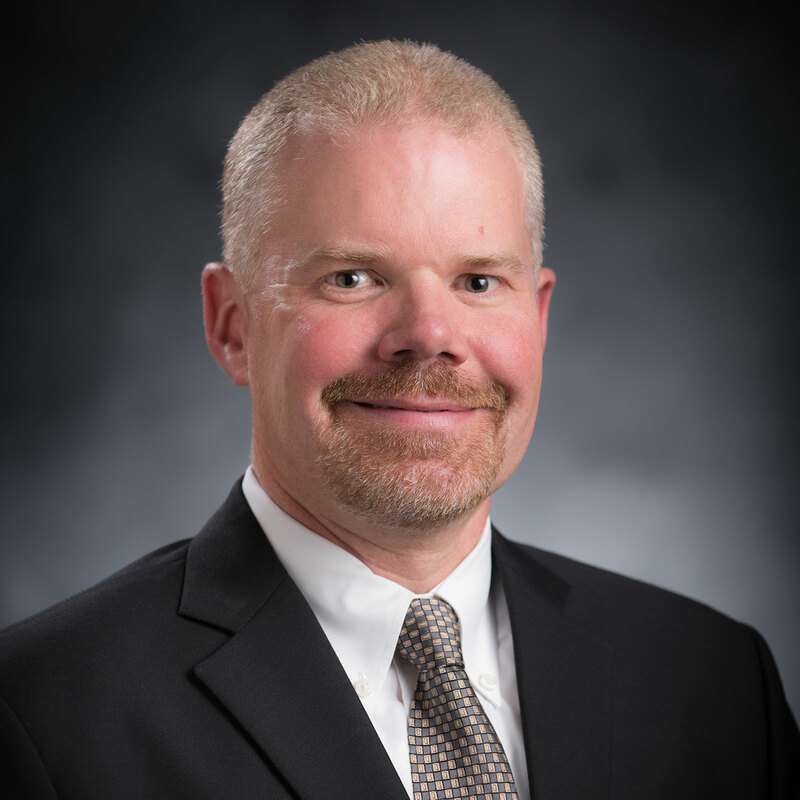 Torrey Lawrence, professor of music at the University of Idaho, has been named associate dean for undergraduate studies and faculty affairs in the College of Letters, Arts and Social Sciences. Lawrence, who has served as the director of the Lionel Hampton School of Music since 2013, began his new role on August 14. This new associate dean position is a 50 percent appointment, allowing Lawrence to resume teaching students in the tuba studio, performing and conducting. Congratulations Torrey! Effective August 14, two departments and one school in the University of Idaho’s College of Letters, Arts and Social Studies have new leaders at the helm. Vanessa Sielert, associate professor of saxophone and jazz bands, will now serve as the interim director of the Lionel Hampton School of Music. 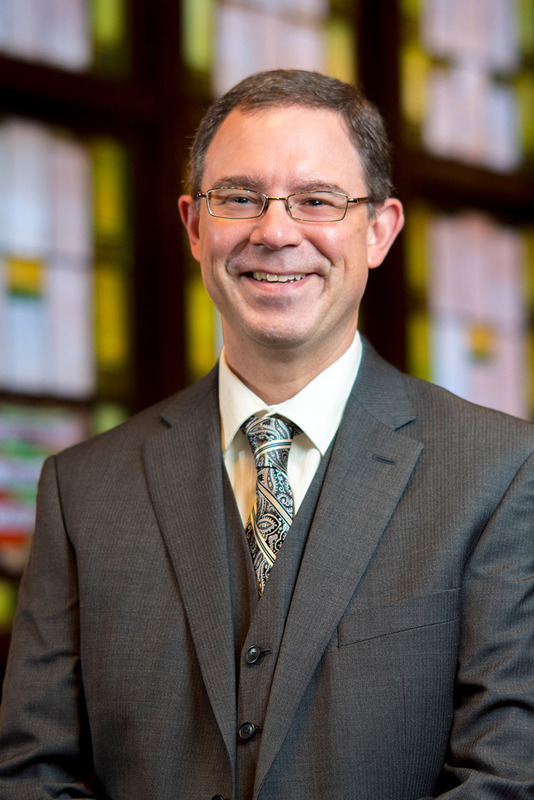 Sielert, a University of Idaho graduate, has worked at UI since 2006 and most recently has served as an associate director of the School of Music. She has served as professor of saxophone on the faculties of Pacific Lutheran University, Seattle Pacific University and Southern Illinois University, Carbondale. Sielert has performed with a wide range of performing groups including the Palouse Jazz Project, the Emerald City Jazz Orchestra, the Tacoma Symphony Orchestra, the Federal Way Symphony, Orchestra Seattle and the Civic Orchestra of Chicago. Brian Wolf, associate professor of sociology, was promoted to chair of the Department of Sociology and Anthropology. Wolf’s research centers on the intersection between organizations, crime and social control. He is currently working on a book, “Good Trouble” which stems from a ten-year long research project about how crime and deviance may cause important social change. Wolf has led several study abroad opportunities for Idaho students, including Idaho Criminology Abroad, a program that brings students interested in criminology to study in London and Amsterdam. Wolf also currently serves as the institution’s NCAA Faculty Athletics Representative. Graham Hubbs, associate professor of philosophy, has been named the chair of the Department of Politics and Philosophy. Hubbs has been at the University of Idaho since 2010 and was promoted to associate professor in 2016. He teaches the history of philosophy for the department, and he will be continuing his research on the intersection of rationality, democratic institutions, and ethics. He is presently working on the nature of money and its relation to the ethics of debt. Congratulations to Vanessa, Brian and Graham on their new leadership roles! Idaho media law has changed significantly since 2003, which is why a collection of University of Idaho professors re-wrote the book on it. Published by New Forums Press, “Mass Communications Law in Idaho” third edition examines and explains current media laws from open meetings/open records to privacy, advertising, obscenity and indecency and commercial speech, among other issues. The team was led by Rebecca Tallent, associate professor in UI’s School of Journalism and Mass Media. In addition to Tallent, other authors were: Katie Blevins and Justin Barnes, both JAMM assistant professors; Shaakirrah Sanders, a UI professor of Law in Boise; and Susan D. Ross, a professor and assistant dean at Washington State University. Also contributing was Brian Kane, assistant chief deputy in the Idaho Attorney General’s Office. Robert J. Taylor, who practices law through Taylor Law and Mediation in Mountain Home, Idaho, assisted in editing the book. “Mass Communication Law In Idaho” is available through New Forums Press for $36.95 and Amazon. On August 21, the first day of fall semester classes, there will be a total eclipse of the sun. According to a memo from John Wiencek, Provost and Executive Vice President, the UI Idaho Falls Center will be closed on August 21, due to the hundreds of thousands of visitors will converge on Southeast Idaho to observe the eclipse. UI faculty at other locations are encouraged to work with students interested in experiencing this phenomenon, allowing some flexibility to be absent from class and making up work or completing alternate assignments. A solar eclipse will occur on August 21, 2017. The purpose of the Idaho Humanities Council Research Fellowship Program (RFP) is to stimulate scholarship in the humanities, to provide support for scholars who need time and money for research, and to share the results with academic and public audiences. The IHC will award up to four fellowships of up to $3,500 each year. The following searches are open now in the School of Journalism and Mass Media. JAMM Director — Applicant review will begin on Sept. 29, 2017. A new Clinical Faculty Position in Advertising, Public Relations and Media Design — Applicant review will begin Sept. 29, 2017. Denise Bennett, assistant professor in the School of Journalism and Mass Media, was awarded $30,000 from the National Endowment for the Humanities as part of its Creating Humanities Communities grant program. The grant will support Bennett’s ongoing project titled “Oral Histories of Idaho’s LGBTQ Community,” which is a collaborative project between CLASS, the University of Idaho Library and the Latah County Historical Society. Congratulations Denise! The Creative Writing Program’s newest faculty member, Brian Blanchfield, is a finalist for the prestigious PEN Center USA Book Award in Creative Nonfiction. His book, Proxies, was also a finalist for the Lambda Literary Award and received a 2016 Whiting Award for Nonfiction. Congratulations to Brian! Last week, the Department of Theatre Arts announced its 2017-18 season. “ROOF,” written and directed by Ricky J. Martinez. A West Coast premiere. In this tribute to friendship and Miami, an eclectic group of emerging artists struggle to work out their relationships to art, society, and each other. October 2017. Hartung Theater. “A Child’s Christmas in Wales – A Christmas Musical,” based on the story by Dylan Thomas. This nostalgic tale, set to music, is perfect for the holiday season. December 2017. Hartung Theater. “True West,” by the late Sam Shepard, one of our nation’s most original, prolific and important playwrights. Volatile family dynamics take center stage in this 1983 Pulitzer Prize-nominated finalist. March/April 2018. The Forge Theater. “The Children’s Hour,” by Lillian Hellman. Two women face accusations that destroy their careers, relationships and lives. April 2018. Hartung Theater. More information is on Theatre’s website. Information Technology Services (ITS) for UI employees is changing effective Aug. 14. Campus has been divided into geographic regions (by building) which will each be serviced by Technology Solutions Partners (TSPs). Find out more and meet your TSPs in person at an upcoming informational session. To learn more and see what region you are in, click here. CLASS website statistics show that faculty pages are among the most popular department pages. Prospective students often visit faculty pages when deciding what and where to study. Therefore, it is important that faculty pages are up to date, with the current contact information and the most recent courses, publications and achievements. Contact your department's Web Author, or if you don't have a Web Author, send updates to Bob Hoffmann, bobth@uidaho.edu. Friday, Aug. 18, 9-10 a.m., in the Admin Courtyard. Please join the dean in welcoming the parents of our incoming first-year students. Enjoy coffee and pastries while talking with parents and answering questions about our programs and majors. There will be no formal presentation. All faculty and staff are welcome and encouraged to attend. Any questions, please contact Kristi Overfelt at kloverfelt@uidaho.edu or 208-885-2024.
International theater artist and activist Marco Magoa will give a free presentation on his personal experience with recent political upheaval in the Arab world at 5 p.m., Thursday, Aug. 24, in the Vandal Ballroom at the Bruce M. Pitman Center. Magoa will also offer a free performance about the Syrian refuge crisis at 7:30 p.m., Friday, Aug. 25, at the Hartung Theater, 625 Stadium Drive. Performance tickets are free and available at BookPeople of Moscow and at the door an hour before curtain, while supplies last. More information about Marco Magoa events. Join us for the launch of assistant professor Michael McGriff’s latest collection of poems on Thursday, Aug. 24, 7:30 p.m. at BookPeople of Moscow. Dean Andrew Kersten invites all CLASS faculty, staff, retirees and their families to join him in celebrating the beginning of the 2017 fall semester on Aug. 30, 4:30-6 p.m. at the 1912 Center, 412 East Third Street. Hosted hors d’oeuvres, beer, wine and lemonade will be served. CLASS staff and faculty are invited to the Center for Digital Inquiry and Learning (CDIL) for its inaugural Digital Scholarship Showcase. The event will be held on August 30 from 1-4 p.m. in the CDIL (room 211 of the University of Idaho Library). A short program beginning at 1:10 p.m. will feature Director Devin Becker, Assistant Professor Denise Bennett, and Kim Christen, director of the Digital Technology and Culture Program and the Center for Digital Scholarship and Curation at WSU. The event will also include an open house session during which attendees can use the virtual reality equipment and talk to CDIL fellows and graduate student interns about their projects and experiences. Coffee and cookies will be served. A staged reading of “Conversations of My Mothers” by Micki Panttaja will be presented at 7:30 p.m. Saturday, Sept. 16, at the University of Idaho Hartung Theater, 625 Stadium Way, Moscow. This event is a fundraiser to support a University of Idaho playwriting endowment established in Panttaja’s honor. The reading is free, but donations will be accepted and can also be made online at http://www.uidaho.edu/giving/make-a-gift. A UI employee and lifelong theater supporter, Panttaja passed away in May 2016 after a long battle with cancer. She served UI for many years, working for Theatre Arts and for the College of Letters, Arts and Social Sciences. Seating is limited to 417 people. Tickets are available at BookPeople of Moscow, at the UI Theatre office, room 201, Shoup Hall or at the door an hour before curtain. Come hear Rodney Frey, professor of ethnography, read from his new book “Carry Forth the Stories,” September 21, 2017, 7:00 p.m., University of Idaho Library – First Floor. Wednesday, Sept. 20, 3-4:30 p.m. PDT in the Vandal Ballroom - Bruce M. Pitman Center - Main Campus. Off-site locations to be determined. More information.